Stocks skidded Friday as concern swept world markets that financial trouble in the Middle Eastern city-state of Dubai will upend a global economic recovery. Major stock indexes fell more than 1 percent from 13-month highs, including the Dow Jones industrial average, which lost 155 points in a shortened trading day but ended off its worst levels. Five stocks still fell for every one that rose at the New York Stock Exchange and all 30 stocks that make up the Dow slid. Investors' broad retreat from riskier assets pushed Treasury prices higher. The dollar gained against most other major currencies as investors sought safety following steep drops in overseas markets. Commodities prices tumbled. "I think this is a sign of things to come," said Dave Rovelli, managing director of trading at brokerage Canaccord Adams in New York. "Commercial real estate continues to go lower. People are going to continue to default on debt payments." The latest trouble on Wall Street comes as the U.S. kicks off the unofficial start to the holiday shopping season. Investors will be tracking news from retailers for insights into how much consumers will spend in the coming month. Consumer spending is the biggest driver of the U.S. economy. According to preliminary calculations, the Dow fell 154.48, or 1.5 percent, to 10,309.92, after being down as much as 233 points. The broader Standard & Poor's 500 index fell 19.14, or 1.7 percent, to 1,091.49, and the Nasdaq composite index fell 37.61, or 1.7 percent, to 2,138.44. Investors sought the safety of U.S. government debt Friday. The yield on the benchmark 10-year Treasury note, which moves opposite its price, fell to 3.21 percent from 3.28 percent late Wednesday. The yield on the three-month T-bill, which is considered one of the safest investments, was flat at 0.03 percent. The ICE Futures U.S. dollar index, which measures the greenback against a basket of foreign currencies, rose 0.2 percent. Commodities, which are priced in dollars, fell as the dollar gained. The move reflected an unwinding of trades that relied on a weak dollar to finance purchases of higher-yielding assets. Spooked traders reversing the so-called "carry trade" were demanding safe-haven assets. Investors have been pushing into riskier assets in recent months as they seek higher returns. U.S. interest rates are at record lows, making riskier investments like stocks an enticing alternative to the paltry earnings of safer investments like government debt. Crude oil fell $2.20 to $75.76 on the New York Mercantile Exchange. Gold fell after a 10-day climb. European markets, which fell more than 3 percent Thursday, closed higher after an early slide Friday. Britain's FTSE 100 rose 1 percent, Germany's DAX index rose 1.3 percent and France's CAC-40 advanced 1.2 percent. Kevin Shacknofsky, portfolio manager of the Alpine Dynamic Dividend Fund in Purchase, N.Y., said the reaction and calming of currency markets and the rebound in Europe was a signal investors are taking Dubai's problems in stride. "The currency markets and the European markets are telling us that this not as bad as initially thought," he said. The worries about Dubai erupted amid a period of relative calm in U.S. markets. The Chicago Board Options Exchange's Volatility Index, known as the market's fear index, rose more than 4 percent to 24.74. On Wednesday it fell to its lowest level since August 2008. That signaled investors hadn't been worried about big swings in the market. "We're way ahead of ourselves in this market. We're in the eye of the storm now and we've been in it since March," he said. "Now we're in the back end of the storm." 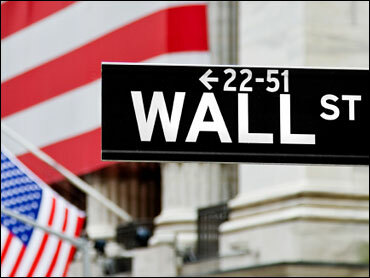 Volume on the New York Stock Exchange came to 654.8 million shares. The Russell 2000 index of smaller companies fell 14.98, or 2.5 percent, to 577.21.